A new Boot2Root came online on VulnHub and it looked like fun. This one is themed around a cartoon show called “Rick and Morty”. First order of business for me is to run an Nmap scan. I like to do a full TCP port scan with service enumeration. Connecting to port 60000 gave me a sort of “fake” shell to play around with. I saw there is a file named FLAG.txt so reading that file gave me the flag. Running Nmap with scripts (-sC flag) shows that FTP is unauthenticated. I connected to it with within my web browser. They're Robots Morty! It's ok to shoot them! They're just Robots! After getting a shell I started poking around. Looking in the html directory I saw a passwords folder. drwxr-xr-x. 3 root root 76 Aug 22 03:36 .
drwxr-xr-x. 4 root root 33 Aug 22 02:27 .. Hitting this in the web browser to reveals the FLAG.txt. Also worth note is the passwords.html file. Looking at it doesn’t tell much, but if when I viewed the source, I saw a password hidden in the HTML comments. <body>Wow Morty real clever. Storing passwords in a file called passwords.html? You've really done it this time Morty. Let me at least hide them.. I'd delete them entirely but I know you'd go bitching to your mom. That's the last thing I need. Running this command I could see all the users on the system. Knowing the password I found was “winter”, I figured this belonged to Summer. Port 22222 was running OpenSSH so I used that to connect with the “Summer” user account. Once logged in as Summer, I saw another FLAG.txt waiting for me. drwx------. 2 Summer Summer 99 Sep 15 11:49 .
drwxr-xr-x. 5 root root 52 Aug 18 18:20 ..
Summer also had read access on some other user’s home directories. drwxr-xr-x. 5 root root 52 Aug 18 18:20 .
dr-xr-xr-x. 17 root root 236 Aug 18 19:16 ..
Morty had several interesting files in his home directory. I exfiled them off with SCP. root@kali:~# scp -P 22222 summer@10.0.1.9:/home/Morty/Safe_Password.jpg . Safe_Password.jpg was an image file, but viewing the EXIF data or simply running strings on the file shows that a password is contained inside. I also pulled down the journal.txt.zip file. root@kali:~# scp -P 22222 Summer@10.0.1.9:/home/Morty/journal.txt.zip . Reading this file gave me the next flag, and a password. Monday: So today Rick told me huge secret. He had finished his flask and was on to commercial grade paint solvent. He spluttered something about a safe, and a password. Or maybe it was a safe password... Was a password that was safe? Or a password to a safe? Or a safe password to a safe? When looking in Rick’s home folder, I could see his safe. drwxr-xr-x. 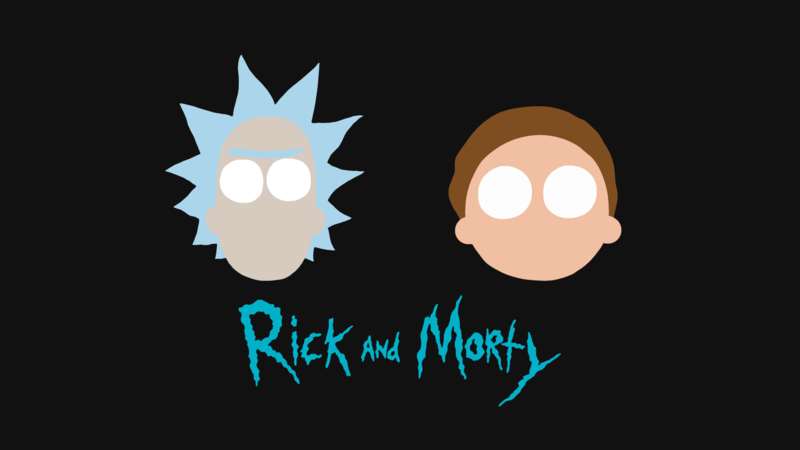 2 RickSanchez RickSanchez 18 Sep 21 09:50 .
drwxr-xr-x. 4 RickSanchez RickSanchez 113 Sep 21 10:30 ..
Summer does not have execute permissions on the “safe” file and does not own it, but she does have read permissions. I copied it to gain control. Running the binary and supplying the password file gave me the next flag. I was also given a password hint for Rick’s password. I don’t watch the TV show, but a quick Google search found that the band name was “The Flesh Curtains”. print str(c) + str(x) + "Flesh"
print str(c) + str(x) + "Curtains"
After running this script an saving the output to a file, I used THC Hydra to brute force SSH. Once I found the valid password, I connected to Rick’s account. In the /root/ directory, there was another FLAG.txt. At this point I was root and had collected all 130 points.